Do visit Divya for the yummy recipe...:). Lovely dear.. Thanks a lot, dear!! will check out ur post. Looks very delicious, nice presentation. 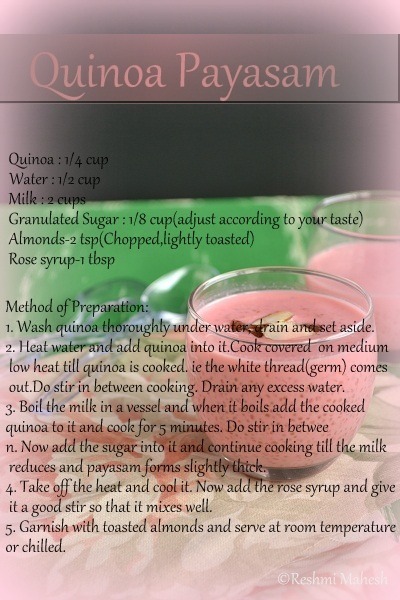 Love this recipe dear,healthy payasam and adding rose syrup is such a wonderful idea. Quinoa paysam looks great. I love that color and great guest post. Lovely pretty color !!! Looks YUM !!!! Lovely color Reshmi, looks yum! 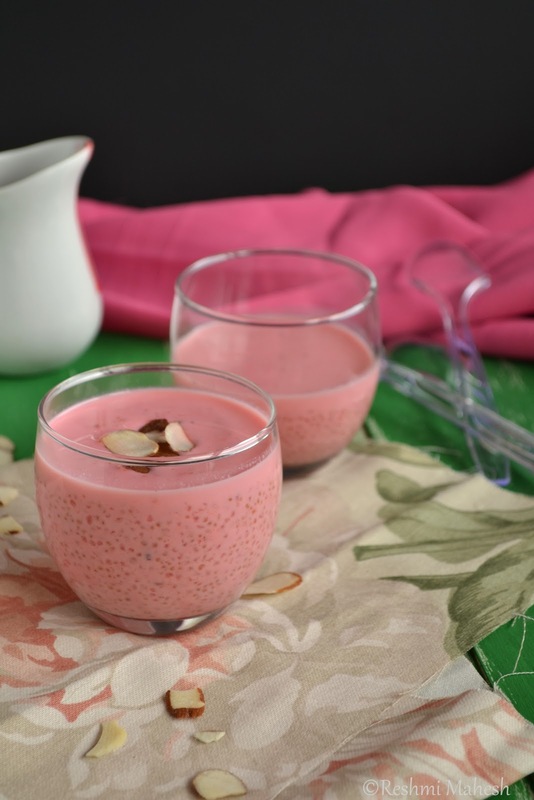 Love this pick kheer..Absolutely delicious..
And beautiful pics...hopping over right way to Divya's space for the recipe. like the color of kheer.. rich look.. I also have this in my draft. It is my favourite.. The addition of Rose Syrup makes it even more tempting..
Just went through ur guest post at Divya's space,kudos to both of you. hi Reshmi!will both be friends?follow each other? Friendship is very precious and we must constantly take care of it! 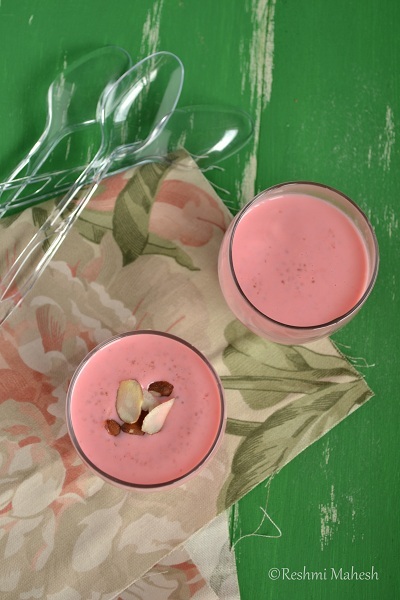 love the gorgeous color and the fact that theres quinoa in it!